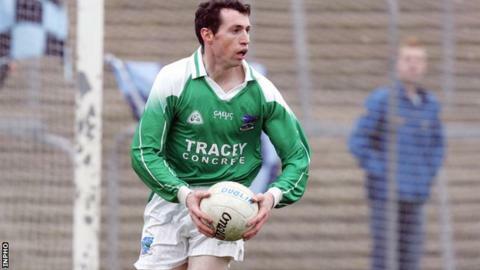 Fermanagh manager Pete McGrath has brought former Erne defender Raymond Johnston into his backroom team. Johnston will be a selector although McGrath said he will also have a "big input" in coaching the team. Former Down double All-Ireland winning boss McGrath replaced Peter Canavan in the Erne hotseat earlier this month. He hopes to tempt Niall Bogue, Shane Lyons, Martin McGrath and Chris Breen out of retirement and back into the squad for 2014. McGrath will hold trials on Friday and Sunday for players hoping to secure a place in next year's Fermanagh panel. The man who took Down to All-Ireland titles in 1991 and 1994 has yet to finalise the rest of his backroom team. Canavan resigned at the start of September after almost two years in charge of the Erne county.